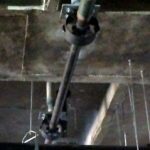 Pipe Alignment Guides | Twin City Hose, Inc.
TCH pipe guides are needed and used to facilitate the thermal pipe expansion so that the axial movement is properly directed to the expansion joint. Guides are designed to prevent buckling or squirming of the pipe. Fabricated pipe guides are available in spider type, pre-insulated slides, and PTFE pipe slides. Our pipe guides and slides ensure positive pipe alignment, protecting both the pipe and the expansion device from failure. 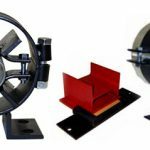 Both spider pipe guides and pre-insulated slides are available in ½” I.D. – 24” I.D. Pre-Insulated slides have a maintenance free bearing surface, minimizing stress on pipe and support structures. PTFE Pipe slides offer resistance to chemical corrosion, solvents, abrasion and impact. All are available in 4” – 12” of motion. Stock and custom guides are available.